Time to sell your Tropical Winds condo? Read about today's resort condo buyer. 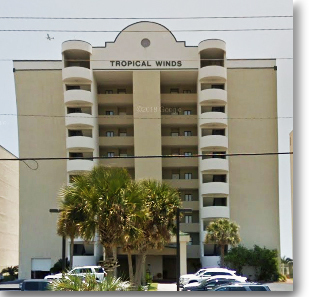 The Tropical Winds condo development is a 32 unit mid-rise condominium located just over one mile west of Highway 59 in Gulf Shores, Alabama. Built in 1996, the complex consists of two-bedroom units on the interior that are 1065 square feet and three-bedroom, three-bath units on the corners that are 1370 square feet. These gulf-front units offer terrific views of the Gulf of Mexico and the sugar-white sands that only the Gulf Coast has to offer. The complex offers a convenient location that is within walking distance of several restaurants (including Bahama Bob's) and several convenient stores and shops. Enjoy the low-density atmosphere around a large outdoor pool, in the owners lounge, or, for the active vacationers, a very nice fitness room. 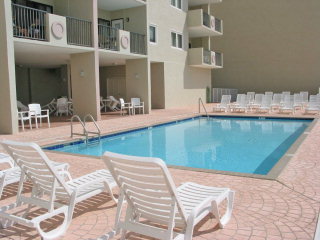 This complex offers a great opportunity for a second home or rental property. For more information on Tropical Winds or to schedule a viewing, please email us at info@condoinvestment.com or call 251-Area-Pro (251-273-2776) for immediate assistance. Use our RENTAL TIPS for helpful ways to increase your Tropical Winds rental revenue. 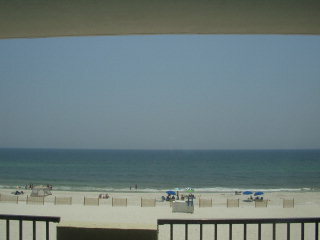 Find annual rental incomes for Tropical Winds and all other Gulf Shores and Orange Beach condos.